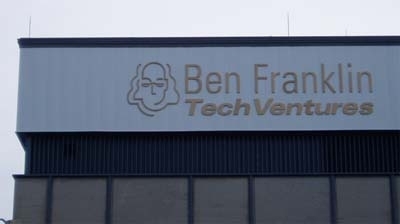 October 2011 - Ben Franklin Technology Partners of NE Pennsylvania completed their $19MM expansion at Lehigh University in October 2011. Valley Wide Signs is proud to have fabricated installed four different signs for this project, as we worked with Spillman Farmer Architects and Allied. 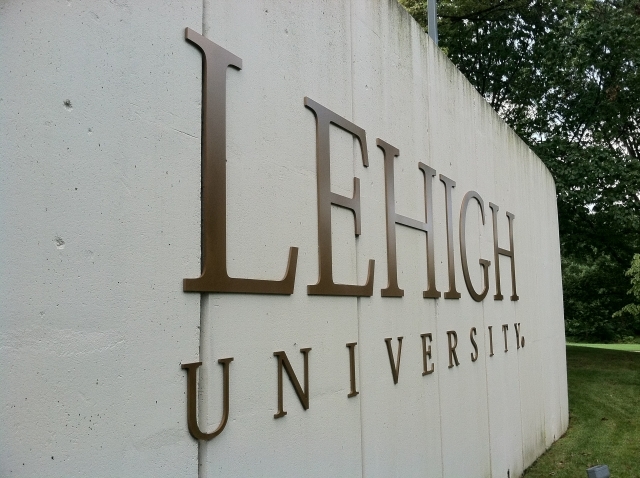 The large letters spelling "LEHIGH" in one photo are 46" tall and all letters are made from 1/2" thick aluminum. 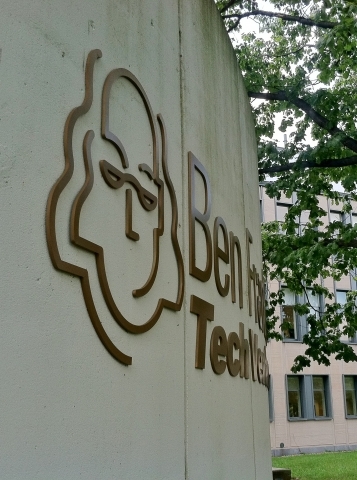 Over 1,300 pounds aluminum were used to make the 80+ letters and shapes for the signs.